It sounded like they were having a party every time I called. When I spoke to the operator she asked me the same questions repeatedly, as if she didnt remember asking the same question one sentence prior in our conversation. Terrible customer service and terrifying to think these people would have anything to do with me or any of my personal information in any way... beware!!! *update* I received a call from identityiq in regards to this and was refunded the last 2 months service fees, expressed a sincere apology and explanation of their plan to mitigate the problems within. They stressed to me they did not want to end on a bad note. Only way to cancel is call in. Most inconvenient. Do not recommend. Offered a credit report for 1.00. Took that, received no report now they start taking 21.99. Do not even listen to these scammers. Rude! I will not be using there company! Bottom line all these thing's do, is take your money..... That's it I would steer clear of anything to do with credit repair, or these's kinds of companies. ☆ Don't try and put this on me, your reps are rude and I stand by my comment about this full of BS company! People please do your research on company's like this, they don't do nothing for you. Except take your money! That's it..... They don't help you with anything! Our company provides credit reports, credit monitoring services, and identity theft protection for consumers. We are not a credit repair company. We take negative feedback very seriously and strive to provide our customers with the best possible experience. In reviewing your call, it appears that you were trying to cancel your wife’s account in addition to your account. Due to security and privacy reasons, we can only cancel an account with direct permission from that account holder. We do apologize for any inconvenience that was caused. Great! Easy to use. Very affordable. I would defiantly use them again.. I love Identity IQ because it keeps me updated on if there any changes to my credit and if anyone is inquiring about my credit. They keep u alerted and it’s affordable, thank u. My experience with Identity Q is quite good, I like the monthly notices and the price is reasonable to my budget. Keeping up with the credit reporting is good but I see you do have to pay more for a more detail report. I like the fact of how identity iq is protects my private information and also how I am able to get notifications of how my credit is progressing each month. I am very satisfied with identity iq, i would recommend it to anyone who needs protection of private information. Wonderful people with great knowledge ,understanding and very good hospitality seems they know what they are doing. Very patient with their customers . customer is priority to any businesses I will have no hesitation to recommend others to your wonderful service thanks and gd bye. So far this experience has been excellent. The one on one time is informative and they provide great steps to help me on my way to greatly improved my credit. 10 out 10 would recommend. Accurate reporting and I have recommended to others. So far I’ve been very pleased with the services of IdentityIQ. They keep me inform of any interaction or inquiries regarding my credit as well my credit score. I’m trying to build my credit to purchase a home and IdentityIQ have been diligent in ensuring that it will be a smooth process. They provide Great communication. They accept pay arrangements. I've been a customer since September, and IdentityIQ is easy to follow, customer service is great, and I really like the monitoring. I'm very pleased thus far! My overall experience is unbelievable they always on the look out for and credit updates an always on time to notif you. Overseas call center and not helpful in the least. Great company and wonderful customer service and support! Overall, IdentityIQ has really been an essential tool in my financial progress. The timely updates, the notifications, the simulators have all played an integral part in planning for my financial and credit success. I couldn't be happier! I always get a great monthly score on time they keep me updated on everything that goes on and they're always ready an happy to answer any questions you may have I would most definitely recommend them to anyone!! Great company, they deliver . Totally accessible and very good at communicating.will use them again in a heart beat. Very informative and supportive as I get myself back on track with my credit. If I could give 0 stars I would. Wanted to cancel and wouldn’t refund the payment that was just processed, even though the representative has told me he can see I’m not using their services. Then tried to offer me the same membership $15 cheaper than what I was paying. IdentityIQ is a very useful service! The customer service is OUTSTANDING and they go above the call of duty for customer satisfaction. Thank you! Customer Service Reps are not the kindest and not very helpful. IdentityIQ has provided me with nothing but great service! Any time I have called in for assistance, I receive friendly service and feel appreciated! The site is user friendly and easy for me to understand! I’ve only been with them just a short time and they let me if anything shows up and that nothing has change. I just use it for a basic credit check. IdentityIQ alerts me when anything happens with my credit. I just wish the service was a little cheaper. It’s pretty straight forward to use. If I didn’t have free credit report service from my bank, I would continue using it. Not bad at all. I have been using indenitity IQ for a couple months now and I absolutely love it. Easy to understand my credit score and any help with customer service is great. 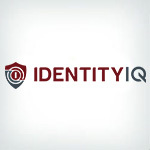 Identity IQ has been such an amazing help with their easy process to sign up and all the benefits such as their Identity Theft Assistance you are able to receive with their program, I highly recommend them to anyone monitoring their credit. Love the updates and very friendly reps.
IQ IDENTITY HAS BEEN REALLY HELPFUL IN MY TIME OF NEED. IT HAS GIVING ME THE CORRECT CREDIT SCORE AND THEY MADE SURE THAT NO HAD MY IDENTITY. I HAVE RECOMMEND PEOPLE TO THE WEBSITE .THE COST TO PAY IS REALLY CHEAP AND THE PRICE DOESN'T CHANGE AT ALL.